718 is proud to be a Lauf Cycling Dealer. We are planning on getting a demo bike in shortly. The True Grit is a versatile gravel and endurance race horse, with nerves of carbon. Blast through gravel, sweep the singletracks, float on asphalt or open a beer. Fitted with the Lauf Grit SL gravel suspension fork and beefy gravel tires – just ride! The True Grit is packed with great features specially designed for gravel and endurance riding. Something, something more here - we even added a bottle opener. The long toptube paired with a short-ish stem, low headtube and a slack head angle give you a low and aerodynamic position with great stability at high speeds and in rough terrain. Making you Long 4 Speed. At the core of True Grit is the Lauf Grit SL, with its 30mm of front suspension - the thing that changed how gravel riding is perceived, now taken to the next level. It’s more compact, lighter and stiffer (laterally and fore/aft) than the standard version. Grit SL has superb small bump performance and maintains traction and control like no other. Making the ride more comfortable, with zero maintenance. The True Grit can take up to 45mm 700c tires* - with ample room for the elements. That’s a whole lot of rubber when things get dirty. All this with short 425mm chainstay length, without intruding on the space for the crankset. *Bikes with eTap front derailleurs are limited to 40mm tires at the rear, due to battery/tire clearances. With In-N-Out Cabling, the rear derailleur cable and rear disc brake hose have entry points at the headtube, then they miraculously pop out at the optimal locations. No hassle and no annoying rattling inside the frame. Some might call it voodoo but we call it Lauf’ing Out Loud engineering. The Lauf True Grit gravel frame has undergone serious testing as it meets the ISO standard for mountain bike frames. 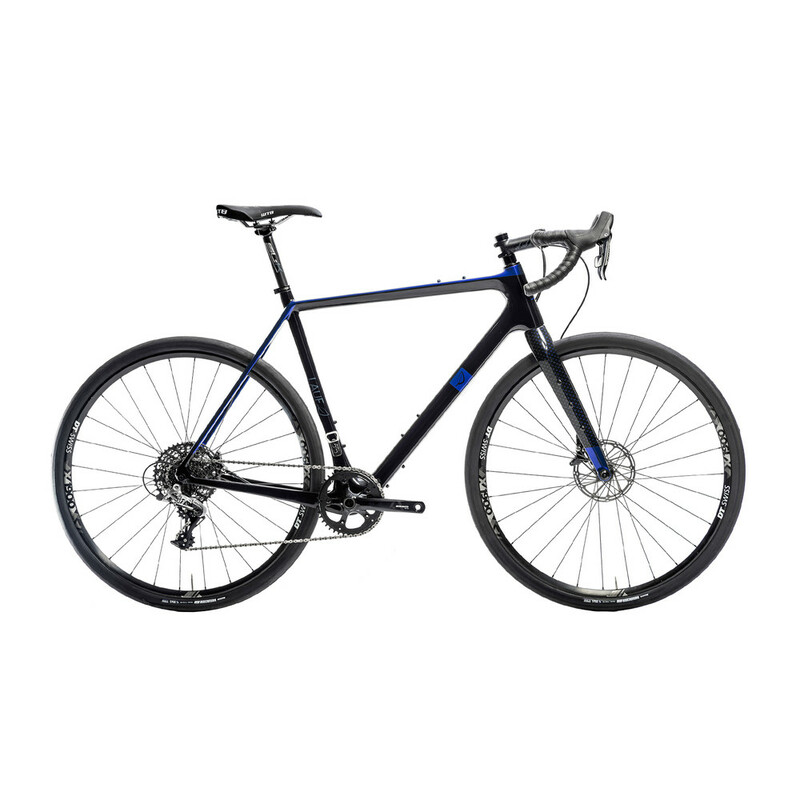 This makes for a sturdy frame that handles all the fun at only 1.070g - Medium frame in Midnight Blue, including front and rear derailleur hangers. Three bottle mounts come in handy for a long day in the saddle. On top of that the top tube has mounts for a bento box for easy access to food or other smaller items for the long haul. The headtube is tapered (1.125” to 1.5”) for improved strength and control. By using advanced molding technologies, bonded junctions are avoided and internal surfaces are kept smooth. Resulting in longer continuous carbon fibers and less unwanted material overlap. Thus a stronger and more efficient frame. 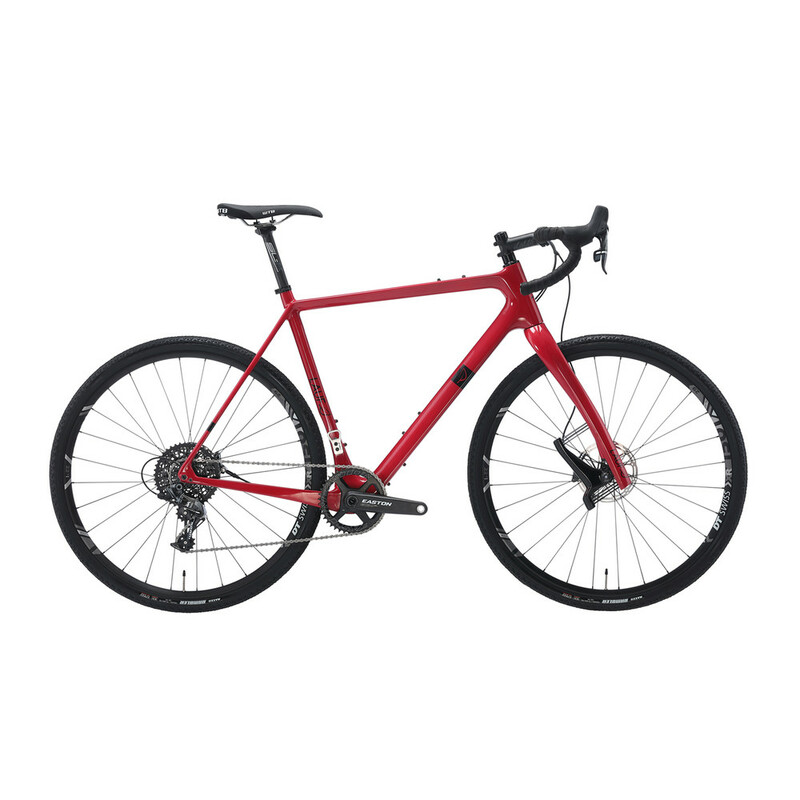 The True Grit Weekend Warrior edition is perfect for riders that enjoy exploring, riding and racing on a lightweight bike. The Race Edition is a bike for the serious athlete. A no compromise setup and ultra low weight. The Race Edition Wireless is a bike for the serious athlete. A no compromise setup with wireless gear shifting. The Anywhere Core is for riders that want a quality base with solid components. No nonsense. The Anywhere Weekend Warrior is perfect for riders that enjoy exploring, riding and racing on pavement and gravel. The Anywhere Race is a bike for the serious athlete. A no compromise setup ready for pavement and gravel.